Bay leaf extract was found to have antimicrobial activity against some of the most common pathogens, including Staphylococcus aureus, Streptococcus pyogenes, Aspergillus fumigatus and Candida albicans. Diabetes increases your risk of heart disease, the fact that bay leaves not only improved insulin function but simultaneously improved markers for heart disease was an encouraging result. More research is needed, but the results are promising. 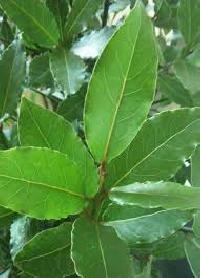 There are several types of plants that are called bay leaves, but the only true bay leaf is Laurus nobilis. Leaves from any other plant cannot be said to have the same health benefits, and some can be toxic. According to the Herb Society of America, the Kalmia latifolia is poisonous, even though it is related to and looks similar to the bay leaf. Leaves of the California laurel, or Umbellularia californica are sometimes sold as California bay leaves, but they can damage the central nervous system and cause respiratory distress when inhaled. Bay leaf is used extensively in the cuisines of India, Nepal, and Bhutan. Its an important spice in the Moghulai style of cooking especially biryani and korma. Kashimiri cuisine uses Tejpatta extensively. It is also used in the cuisines of Nepal and is an integral part of Tsheringma herbal tea in Bhutan. Both fresh and dried bay leaves are used in cooking and impart a distinctive flavor and aroma. In Indian cooking, bay leaf is usually used as a whole dried leaf during the tempering of a dish be it vegetarian or non vegetarian. It is an essential ingredient during preparation of the famous Biryani. The tempered bay leaves are removed once the dish is cooked, just before serving. Tej Patta or bay leaf has antibacterial, anti fungal, anti inflammatory, carmiative, diaphoretic, diuretic and astringent properties. Bay leaves are rich in vitamin C and contain minerals like copper, potassium, calcium, manganese, iron, selenium, zinc and magnesium. Bay leaf helps in the treatment of diabetes, migraine, gastric ulcers, abdominal pain, colic pain, bacterial and fungal infection and high blood pressure. It maintains the sugar level of blood, pulse rate and blood pressure. It improves the immune system of the body. It works as an antidote to poison. Tej patta is used to treat infections of the respiratory and urinary tracts and bay leaf juice promote menstruation. Oil is extracted from bay leaves and is used in the treatment of paralysis, muscle pain, arthritis and flu. The leaves are used either fresh, dried (both whole leaves or powdered form. Oil is also extracted (Bay leaf oil) to treat such ailments. You will find them in the spices and herb isle of Indian grocery stores and most Asian grocery stores. Indian bay leaves are often confused with Bay laurel leaves. Bay laurel leaves have a single vein running down the center while Indian bay leaves have three veins. Bay leaf is primarily used to flavor foods, and it is used by chefs of ethnic cuisines, from Italian to Thai. It is also frequently used in salt free seasonings. 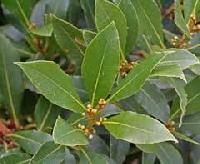 Bay leaf is thought to be useful for gastric ulcers, high blood sugar, migraines, and infections. Bay leaves and berries have been used for their astringent, diaphoretic (promotes sweating), carminative (promotes digestion), digestive, and stomachic (tones and strengthens the stomach) properties.